Gonna catch 'em all with this Pokemon Starter Print Purse! 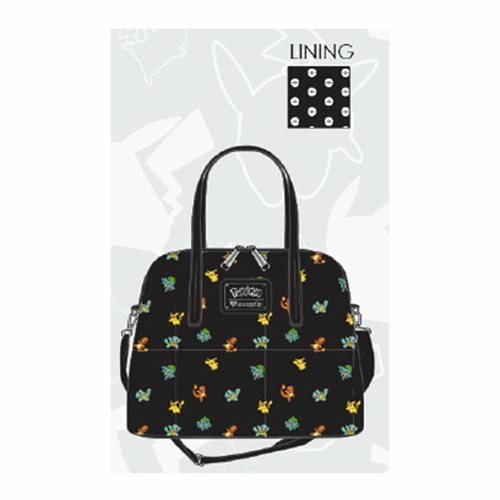 This Saffiano faux leather bag features Pikachu, Squirtle, Bulbasar, and Charmander on black background. Includes handles and a removable sholder strap. This Pokemon Starter Print Purse measures approximately 11 1/2-inches x 9-inches x 5-inches. Ages 14 and up.